After a night of close-quarters tacking in the Celtic Sea into a 15-knot northwesterly breeze Dongfeng Race Team, which had been in second place in the seven-strong Volvo Ocean Race fleet, was the first to round the famous Fastnet Rock this morning. Charles Caudrelier and his crew managed to overhaul former class leader AkzoNobel and were the first to ease sheets and begin the leg back to Plymouth with the wind now behind Dongfeng and set to freshen as they head towards the Isles of Scilly. 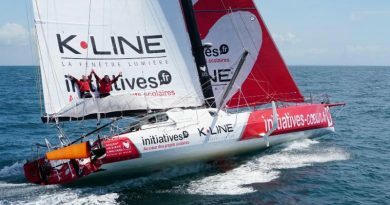 At 08.30 local time this morning Dongfeng had 246.3 miles left to sail to the finish off Plymouth and was two miles ahead of AkzoNobel, skippered by Simeon Tienpont, with the Spanish entry MAPFRE, skippered by Xabi Fernández, another half a mile astern. 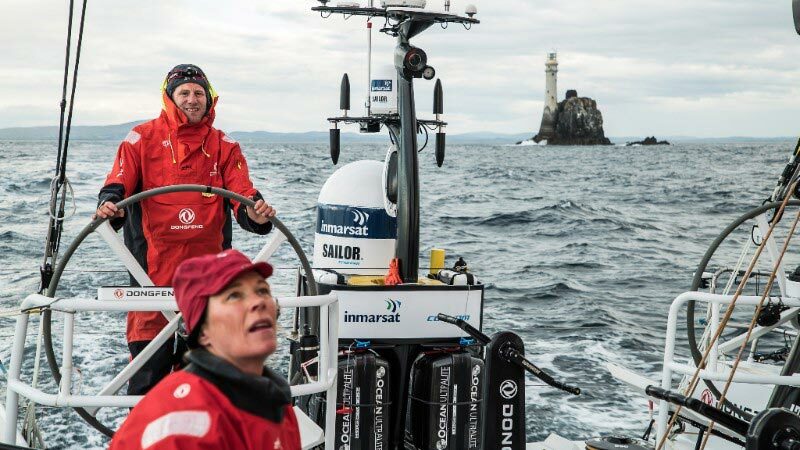 On Dongfeng there were broad smiles and a thumbs-up from navigator Pascal Bidégorry as the crew worked the boat downwind for the first time in this 605-mile classic and with the famous Fastnet lighthouse now behind them. 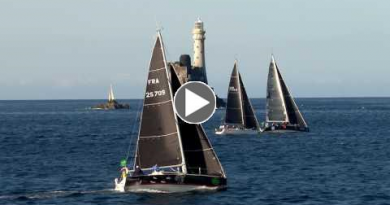 „It’s good, rounding the Fastnet is always fantastic. It is a nice day, not a very windy one. It was not easy to be the first here. 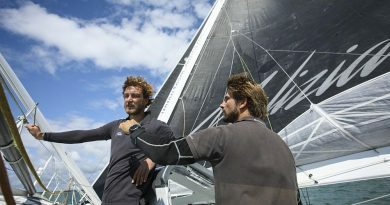 We have had a great fight with the Spanish and with AkzoNobel since the beginning of the race and then the whole fleet compressed in a really light spot,“ said skipper, Charles Caudrelier.